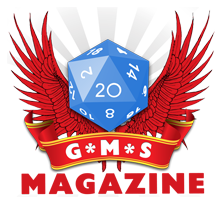 Once again, friends, we’re recording our RPG podcast and this time, after Vickey has had the chance to recover from a busy schedule, we talk GenCon. You might think by now that you’ve heard every update about the convention you need, but we couldn’t miss the chance to have a go and tell you thinks you might not have heard. Vickey had, for the first time, her own products to sell in GenCon and the experience has been very different for her as a trader, so her perspective brings a new way of looking at the convention and how to organise it. But also we discuss what’s about GenCon that is so infectious and exhilarating. Why aren’t there any other conventions that transmit the feeling of excitement and the buzz that GenCon Does?